In the Introduction, Chris Bailey talks about his interest in productivity and learning all about it, for years. As he graduated, he decided to take a gamble by refusing two lucrative job offers and devoting one year just to understanding more about what makes people more productive. What followed was a year of reading books and research articles about productivity, interviewing productivity gurus as well as conducting productivity experiments, all of which found a place on his super popular blog A Year of Productivity, now called A Life of Productivity. This book then distills his conclusions and understanding from this project. The book is a rich source of learnings. Neatly divided into sections with short chapters and actionable takeaways leading those chapters, it is very well structured. Most chapters end with a challenge which gives an unmistakeable guide map for you to try it out for yourself. While Bailey does not say it in so many words, his first chapter can easily be rounded up in Simon Sinek’s all encompassing phrase – Start With Why. Essentially, if you have decided that you want to get on to the productivity bandwagon, first introspect to understand what are your motives for trying to do this. With that clarity, not only will your probability of finding value in it be higher, you will be better able to chart your unique path into the vast landscape of productivity. When you accomplish what you intend to, and you’re realistic and deliberate about the productivity goals you set, in my opinion you are productive. Notice the two main pillars of productivity – intentionality and deliberation. Decide what you want to achieve and achieving that with deliberate focussed effort would be a good shot at productivity. For me, this was the biggest eye opener from the book. Bailey talks about the three aspects that we need to manage to be productive – time, energy and attention. He made so much sense when he said that time is merely the canvas whereas your two more important tools to manage are energy and attention. Energy is helped more with the physiological aspects (will be discussed below) while attention is a muscle that we can grow over time (discussed in a point below). Bailey makes an important distinction about how time was a far more important factor in the Industrial Age where the nine to five shift was important considering time and output were directly correlated. In the knowledge age, within the same time, the output can vary vastly depending on how you manage attention and energy. Bailey talks about keeping it simple with three accomplishments that you set out to do for each day and each week. While he does talk about his reasons for coming to the number three, personally I prefer my un—numbered to-do list rather than necessarily sticking to three. As a person, I like some semblance of structure but too much of it just ends up stifling me. This was quite a novel concept for me. Bailey recommends tracking energy levels over the course of a few days. Every human has a particular time in a day when their body is probably at the highest energy level. Sam Carpenter coined the term Biological Prime Time or BPT for it in his book, Work the System. 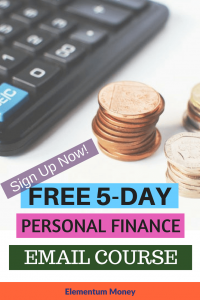 As per Bailey, knowing your BPT can help you structure your day in such a way that you do your most intellectually demanding tasks during your BPT. I am still to get on board with the idea of tracking such a subjective factor like energy. Though I suspect I am more energetic early morning which is also the only time I find to go to the gym. Who amongst us hasn’t lost a battle to procrastination every now and then! The good news is that procrastination is normal. The even better news is that you can control it. I liked the scientific way in which Bailey came up with six attributes of tasks that we often end up procrastinating on. These include the task being boring, frustrating, difficult, unstructured or ambiguous, lacking in personal meaning and not fun or engaging. His take? Try to understand which of those factors are playing more on the task that you are procrastinating on and figure ways to reduce that particular factor. Procrastination gets in the way of accomplishing more since it is, in its simplest form, a gap between your intention and action. We all know that Internet is like the rabbit hole in Alice in Wonderland. We might think we are just peeking in and soon enough we fall completely into the swirling blackhole of entertainment. Why is it so easy to procrastinate with the internet? Because it negates all the six attributes that are features of the tasks we procrastinate on – it is entertaining, facilitating, easy, structured, personal and most definitely fun and engaging. Track how often and how long are you using Internet daily, draw a line and clinically work on reducing your usage. Like most thing, productivity follows a bell curve – keeps increasing with the amount of time you spend working, peaks out and then starts falling. As per research, for most humans, thirty five to forty hours a week is the optimum time for which they stay productive. Bailey talks about an interesting experiment he did where he swung to alternate between a twenty hour and a ninety hour work week over 4 weeks. He noticed that in the ninety hour weeks, he got very less incremental amount of work done as compared to his twenty hour weeks. One of his insights was that when we know about less time available for a task, we hunker down and put all possible attention and energy to it, making us more productive. This sure made me feel better about my Just in Time tendencies, especially with my blog posts. If machines need down time, we humans obviously do. It’s about making a distinction between busyness and productive. Though, at most work places, making that distinction is pretty difficult considering visibility is valued far more than the output that you are able to show. According to venture capital firm Y Combinator co-founder Paul Graham, knowledge economy inhabitants have two types of schedules: a “maker’s” schedule and a “manager’s” schedule. As you can guess, makers schedule is generally about creativity and creating things making it less structured but probably requiring more energy and attention. In the manager’s schedule, your organisational and time management skills become far more important. Try and understand the requirement for your tasks and chunk and schedule them accordingly. We all have low-impact as well as maintenance tasks that we need to do. Low impact tasks are those that are easy to do, without requiring much thought and not even leading to much but still essential. While in corporate jobs, email remains important, your personal email? Maybe not so much. Similarly, there are some household chores that are required to be done to keep the semblance of sanity which Bailey calls Maintenance tasks. His advice here is simple. Do not go to do these tasks too frequently. Chunk them up, carve some time in your schedule and voila, you have them out of your way. When you make a habit of doing them as and when they come up, they quickly become an easy tool for your procrastination tendencies. There are many things we end up doing that we bring no unique touch to. For instance, in my case, putting my blog post from a word doc to the WordPress draft is something anyone with the skill set can do in the exact same manner. Bailey suggests eliminating, delegating or outsourcing wherever possible in case of such tasks. Here, I think I can learn quite a bit from my husband. He could be doing anything but as soon as he spots me, he can always come up with something to delegate or outsource to me. Apart from the list of 3 daily and weekly tasks, Bailey recommends a brain dump, a “Waiting For” list, Individual Project notes and hot spots for bird’s eye view into the seven core areas of our life. Ironically, in this section he also talks about not taking productivity too far. For me, the mind dump was the only one I could stomach. Rest of them seemed like an unnecessary tangle. How often do we let our mind go on to uncharted territories, with no stimulus whatsoever. Very rarely do we now get such opportunities, as the options of simulating the mind get more and more abundant and stickier. No wonder, increasingly the value of boredom is being touted as a good supplement to creativity. Shower and walking are two well known activities that help in having a wandering mind simultaneously. Most of us hated examination time as students. But, as adults that was probably the last excuse we had for focussed work. Today, how many of us can boast of moments of full attention? As Bailey puts it and I have experienced it myself, attention is like a muscle which improves with conscious use every time. The two main aspects that he focusses on are notifications and multi tasking. Notifications are those pesky little information nuggets on our phones that only take away our attention, to return it to the task at hand after another 25 minutes! I, for one, have disabled the notifications for all the apps and personal email on my phone choosing to check it off and on few times a day. You know how they make you say it in Alcoholics Anonymous. 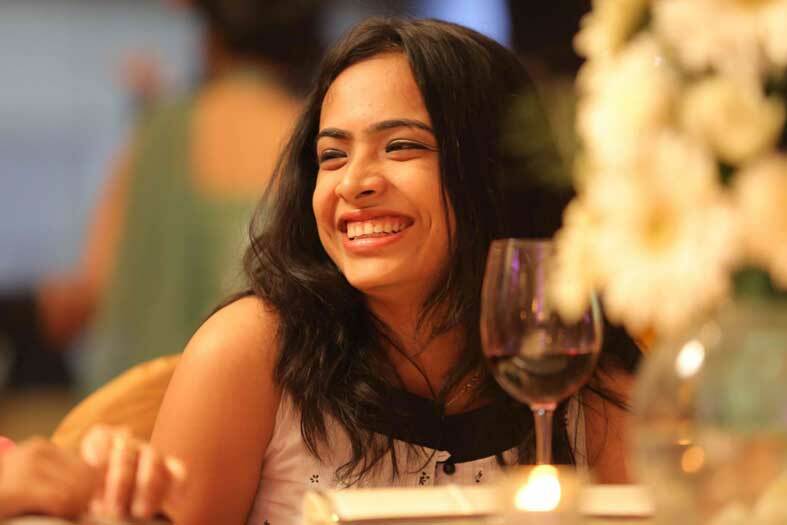 Well, today I say, I am Aparna Aggarwal and I used to be a proud multi-tasker. Bailey talks about how multitasking makes us feel good and gives us a false sense of accomplishment. But, is it really good? Nope. 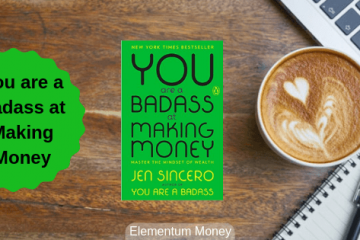 You can read the details of why I say so right here. I have read and heard enough times about the super benefits of meditation. But I have always thought of myself as being bad at it by wanting to either fall asleep or getting distracted time and again. Something struck a chord when Bailey said how the mind will wander when you meditate but your job is to get it back to pay attention to breathing. Every time you do that becomes a rep of sorts for your attention muscle. This was so impactful that I gave it a shot and put a timer on. I was able to do it comfortably for a grand total of 5 minutes 20 seconds. I am surely going to try doing it more often. Remember the third component of the holy trinity of productivity – energy? Bailey goes through four elements that impact our energy levels – exercise, food, drink and sleep. I am no stranger to exercise and it’s benefits. While none of my weight loss objectives are seeing any sign of success, exercise still delivers in it’s promise of giving the feeling of strength and energy. On food, Bailey keeps it simple with two tenets of more unprocessed food and eating till just a little less than full. As for drink, he says something I have known for quite some time – there is no other elixir of life like water and alcohol is allowable only in moderation. What he adds is to use caffeine strategically rather than habitually. I am still on the fence on that one. Sleep is a no-brainer, but if you are looking for a primer, look no further than this. While Bailey talks about quite a few things here, I will limit myself to focussing on three – disconnect to rejuvenate, gratitude & journaling and meaningful social connections. The idea is that these three elements contribute to our happiness. While productivity might make us happy, the reverse relationship is far stronger. Happier people are generally far more productive too. I know this post is long, but some books pack that much of a punch that every element is too good to miss. 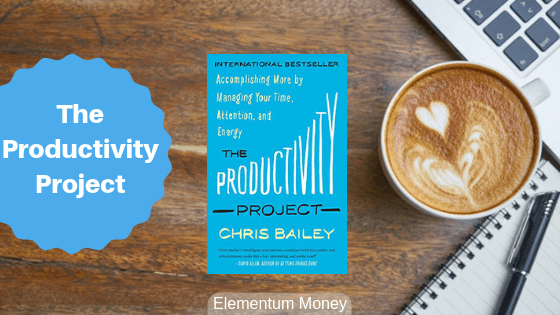 As usual, the post is meant to only whet your appetite so that you rush to read Chris Bailey in his full glory in the book The Productivity Project. Have you read the book? Do you follow his blog? What did you make out of it?